A Bogota restaurant called Gaudi is decorated to reflect the Spanish architect’s style. 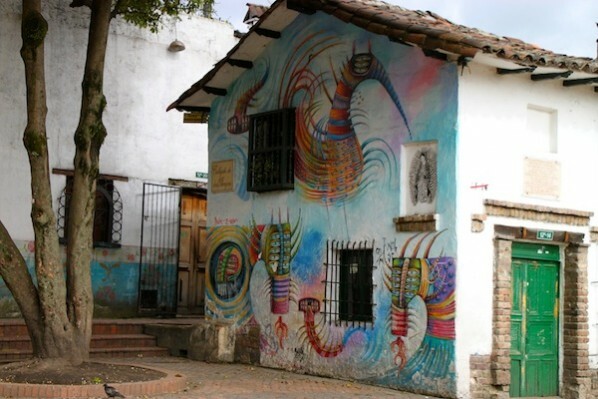 It is in Bogota’s Macarena district. BOGOTA, Colombia — It’s possible to see quite a lot of Colombia’s capital city in a single day, as I learned during a fly-by visit with a small group of travel writers a few months ago. Bogota, a metropolis of 8 million, is set on an Andean plateau 8,563 feet above sea level with mountains rising all around it. Driving from point to point in the city often provided us with striking views of the mountainous setting with, at times, much of the city spread out below us. • The day started at the Gold Museum in an old downtown area called La Candelaria. The museum neighborhood was a bit rundown, but the interior of the building was anything but. 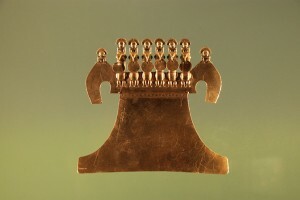 One of thousands of gold artifacts at the Gold Museum. It houses a huge collection of gold items — earrings, headdresses, masks, neckpieces and the like — made by pre-Hispanic peoples. Our guide said this was the world’s largest such collection. The displayed pieces were those saved from marauding Spaniards, often because the items were in tombs found after the conquistadors got out of the way. One of our hostesses said the museum displays 35,000 pieces of gold, representing 10 to 12 cultures. One of numerous shops selling handicraft items in the Casona del Museo. 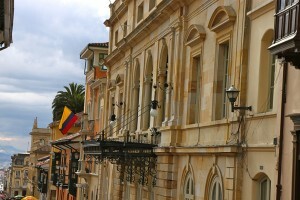 The site is near the Gold Museum in central Bogota. 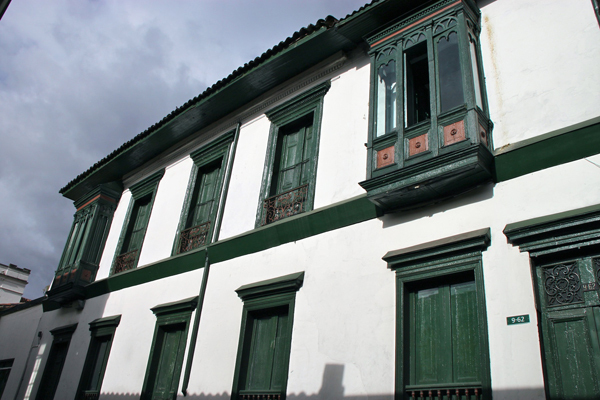 • Also in La Candelaria, we toured the 1910 Presidential Palace. 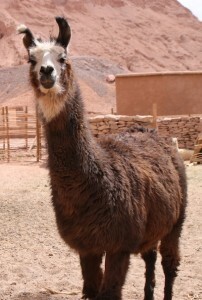 As part of on-site security, we were required to check cameras and all bags, including handbags. It was a little unsettling to hand over my purse with money and credit cards (my passport was in a safe). 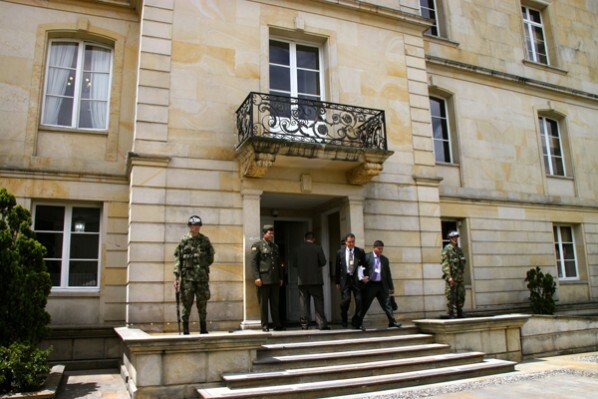 Side door of the Presidential Palace in Bogota. Beyond this point, tourists aren’t allowed to carry cameras. There is a sweeping open yard in front of the presidential residence, sometimes used for big public events. The residence itself has the de rigueur columns at the front. Inside the Presidential Palace, the guided tour included the Ministers’ Room, with a wood table, measuring 65.6 feet by about six and a half feet, that was constructed right in the room; the Yellow Room, aka the credentials room, looking rather French in decor and furnishings, and the Bolivar Room. The latter featured a painting of the first Colombian president, Simon Bolivar. His eyes seemed trained on us no matter where we stood. Historic building in the heart of Bogota’s downtown, near Plaza Bolivar. Tourists can join free guided English-language tours of the presidential home, offered six times daily five days a week, and, at the Web, they can confirm a time and date for their tours. • We lunched at Chibchombia in a bohemian neighborhood called Macarena, described as being one of Bogota’s seven gastronomical areas. 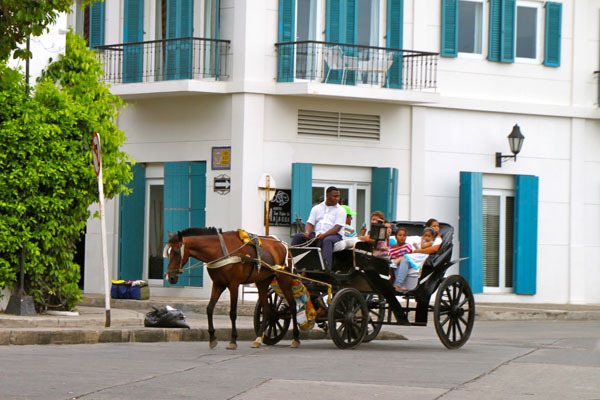 It is popular with locals and tourists because of those restaurants, some with a tradition of having been gathering places for well-known movers and shakers, such as political figures and journalists. 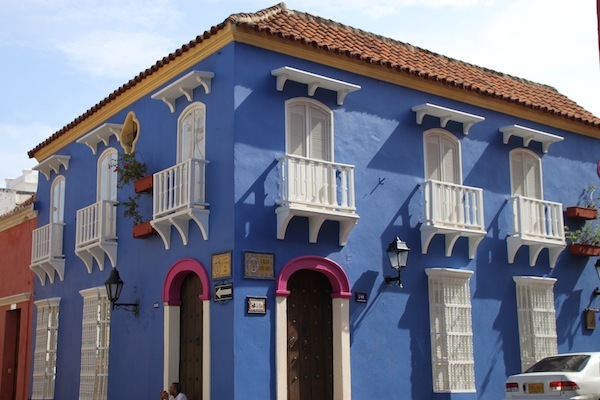 Chibchombia was a charming eatery, decorated with Colombian artifacts: mounted model houses, masks with the heads of animals, pottery, etc. The ladies restroom was amusing, too. An old-fashioned pump handle was the faucet, but it had very modern sensors that responded to a nearby hand to produce the running water. 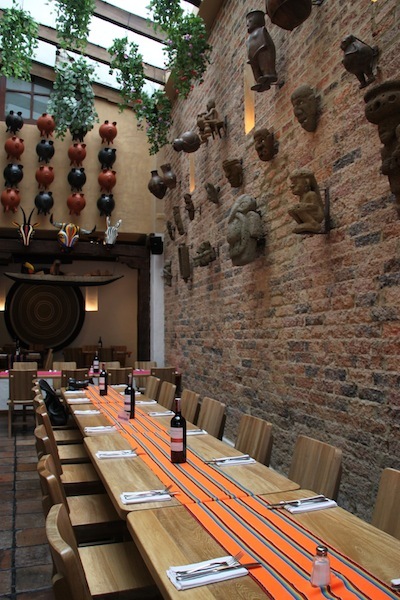 Chibchombia, specializing in traditional Colombian foods, in Bogota’s Macarena neighborhood. Openers were arepa de choclo — corn patties with cheese inside — and meat-filled empanadas. The choclo was rather sweet. As for drinks, one option was juice made from a fruit called curuba, very tasty with milk. I has a soup called ajiaco, which featured three kinds of potatoes, chicken, corn, avocado, rice, capers, sour cream — the last four served separately. This was good, a real comfort food. From here, we walked a short way up the street to sample the goods at the Bogota Brewery, a local brewpub with several locations in the city. I can’t report on the taste because I don’t drink beer, but this was a pleasant, cozy establishment. 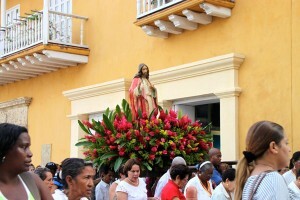 • We returned to La Candelaria to see the Old Town on foot. There were lots of graffiti on the buildings in this UNESCO World Heritage Site. Some were creative and suggested talent, some were merely boorish. We walked onto the narrow Embudo Street (meaning Funnel Street, so named because of its shape), noted for its small brightly painted houses and graffiti of some interest. it has several small businesses, including one selling traditional corn liquor, and another, which is a tiny hotel. Wall art seen on the Plaza del Chorro de Quevedo in Bogota’s La Candelaria district. A Bogota potter demonstrating how he makes a cup on a wheel. 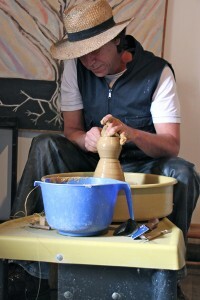 potter/artist show us how he throws clay as well as some of his finished work. View of the Calle del Coliseo in the historic heart of Bogota. The Christopher Columbus Theater is in the foreground. • In another and spiffier part of the Old Town, the Coliseo is a charming walking street and site of Colombia’s original presidential home, first occupied by the country’s hero, Simon Bolivar. His lover lived in another house on the same street, we were told. 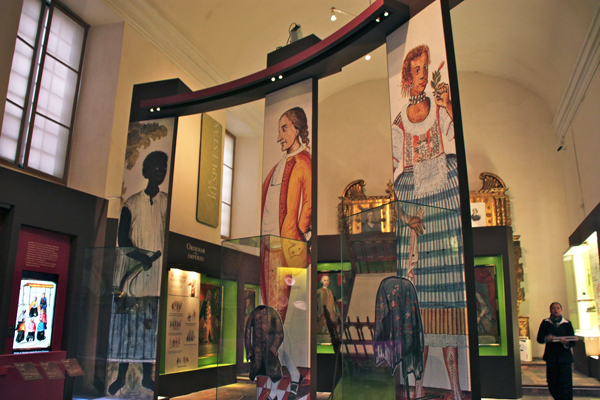 The interior of the Museum of Colonial Art in Bogota, where the art ranges from paintings and sculpture to fine furniture dating from colonial times. Coliseo gives access to the Colonial Art Museum, a former monastery, which houses paintings, but also artifacts from colonial life. To enter, again we were required to turn over all bags including handbags, but not cameras. Our guide said this was not typical for other museums in Bogota. The end of Coliseo spilled into Plaza Bolivar, Bogota’s main central square, site of the Bogota Cathedral complex, the National Capitol building, City Hall and the Hall of Justice. 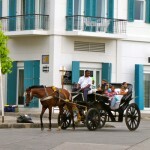 Plaza Bolivar is quite near the current Presidential Palace, which we had visited in the morning. 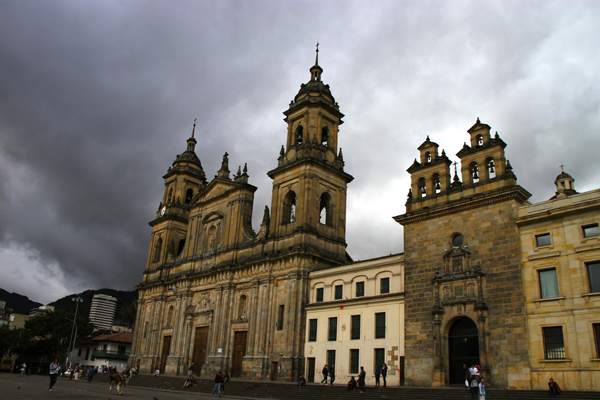 The Bogota Cathedral, at left, in the heart of downtown, on Plaza Bolivar. • We ended our day with a coffee tasting, reminiscent of a wine tasting. This was a first for me. The location was an establishment called E&D, and, of course, the highlighted coffees were Colombian. 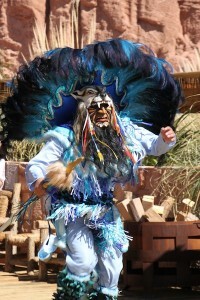 E&D staffers said that, for a fee, the shop will schedule such events for individual tourists or small groups. The setup included spittoons for those who didn’t want to drink the coffee. I spat. I don’t like coffee. To me, although the event was educational and fun, all brews smelled the same and all tasted bitter. Until about seven or eight years ago, Colombia was the backdrop for a lethal combination of drug warlords, left-wing rebels and right-wing paramilitary groups. Prospective tourists have not forgotten about that. Then, there is garden-variety crime, and tourists can be the victims. In mid-2011, those victims included a couple of my friends who were robbed in Bogota. Travelers are urged to exercise caution and review current information at the State Department’s website. My press group’s experience was much like that of a tourist who buys a packaged tour, which typically includes hotels in safe areas and a full plate of guided activities. A good tour operator will keep travelers busy with engaging diversions, a plan that also tends to keep them out of harm’s way. Argentina’s Presidential Palace is called Casa Rosada, or Pink House, for good reason. Located on the Plaza de Mayo. 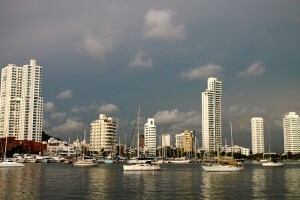 BUENOS AIRES — It may be a commonplace, that Argentina’s capital is South America’s most European city. To see it for the first time is a revelation of sorts, nevertheless. Other cities on the continent offer plenty of evidence for their European roots, too, but in this case, uniquely, think Paris. 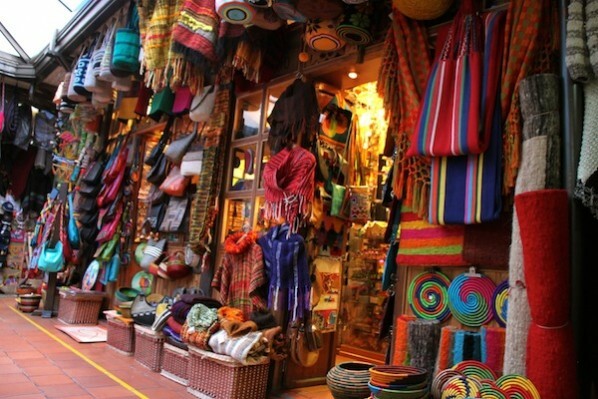 Pisac’s market offers an extensive array of choices for the shopper. All photos by Nadine Godwin. Peru’s Presidential Palace, located on the Plaza Mayor in the heart of Lima’s historic district. LIMA, Peru — Peru’s two largest cities, Lima, the capital, and Arequipa, were essentially creations of the Spanish conquistadors. 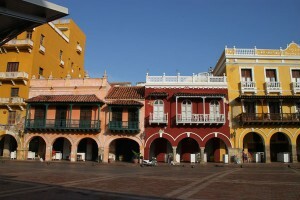 Their historic city centers date from the 16th century and appear on UNESCO’s list of historic sites. In the San Telmo district of Buenos Aires, on Avenida Defensa, lies what must be the city’s most enigmatic tourist attraction. 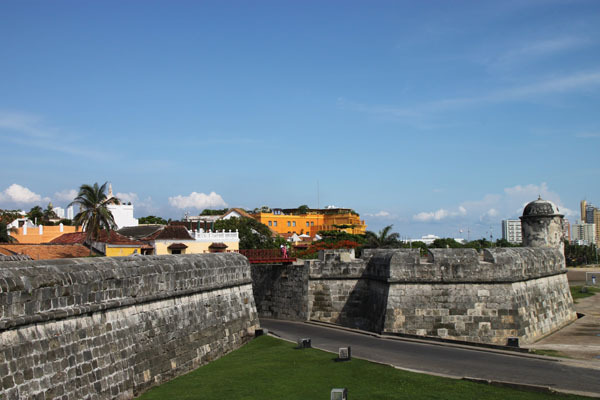 El Zanjón (the term translates as “deep ditch” or “ravine”) is a . . . well, what exactly is it? 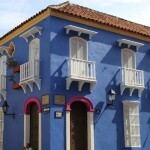 Twenty-five odd years ago, Jorge Eckstein bought a derelict house in the once fashionable barrio. Actually, ruin would be a better description. His motivation was commercial. It could be a restaurant, something. But then fate intervened. Argentina is blessed with an elaborate public transportation system of long-haul intercity buses. In this vast country, people apparently think nothing of hopping on a bus and heading out for ten, twelve, even twenty-two hours across the Pampas or the wide open spaces of Patagonia. When I heard that there is a regular schedule of high-end overnight “executive” service buses featuring “Cama Suites” with lay-flat seats similar to those found in first-class airline cabins, I was intrigued. I’m a great fan of overnight train travel and have sampled a wide variety of rolling stock, so I was curious to see how a bus would compare.